On a hot and humid September afternoon Bhiwandi is bustling with activity. Located a few miles outside the megacity of Mumbai (formerly Bombay), Bhiwandi is an ideal residence for millions of migrants who are drawn by the opportunities the city has to offer, without having to pay skyrocketing rents. Population estimates vary from 12 million to 20 million, depending on the source and scope of measurement. At a neighborhood kiosk, we meet Mahinder* who is on his way back home after a long shift at the local handloom. Mahinder migrated to Mumbai 7 years ago from Bihar, one of India’s poorest states. It is estimated that if Bihar were a country in Africa, it would be the third most populous and second poorest by per capita GDP. Mahinder has three children and a wife, who live in a village in Begusarai, Bihar. He sends about 3000 rupees every month to support their household expenses and fees. The neighbor kiosk or the ‘kirana’ store is his immediate point of contact for all needs, including grocery, cigarettes, connectivity and financial services. The neighborhood kiosk is a crucial anchor in the Indian social context. Not only is it a form of local “grapevine” – a center for sharing news and gossip, it is also the most readily available center to run daily chores. Unlike big chain and formal retail found in malls, informal and decentralized retail has the deepest penetration and distribution in India. 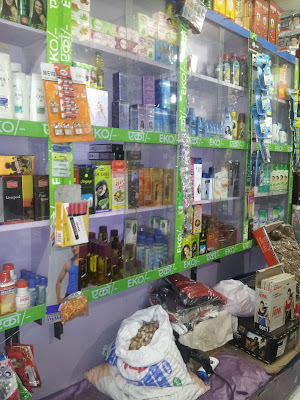 Unsurprisingly, it is common to find the most familiar brands of fast-moving consumer goods at a small kiosk in rural India. Digital financial services are taking advantage of informal retail to provide an array of financial services in areas that were traditionally out-of-reach. Remittance services are of critical importance to millions of migrants like Mahinder, who support their families thousands of miles away every month, and in emergencies. 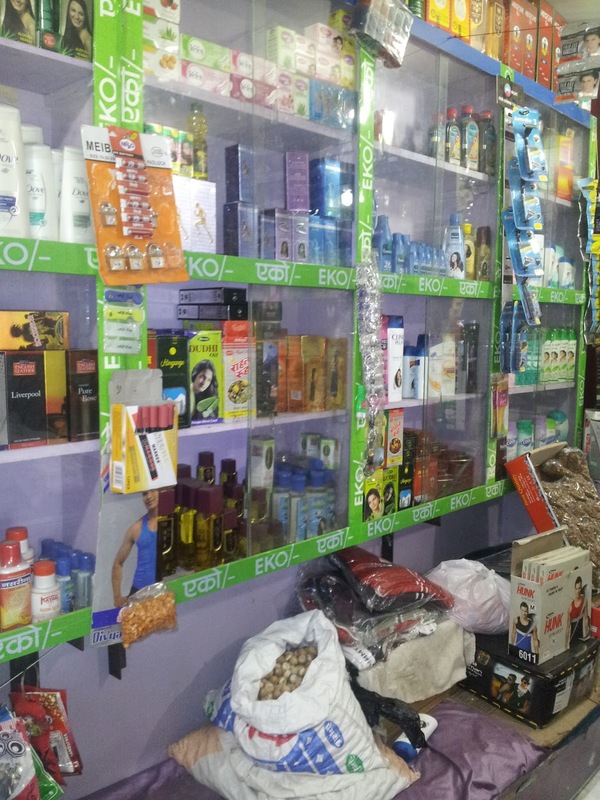 Mahinder came to know about the service, ‘Eko’, through the shopkeeper at the kiosk. Buying soap and bread has evolved into a long-lasting relationship, and it is easy to confuse Mahinder and the shopkeeper as long-lost friends. 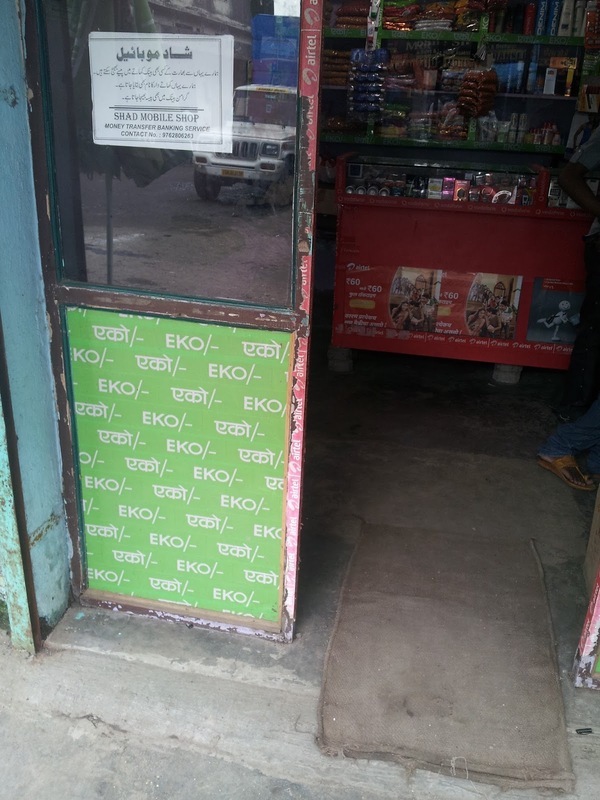 Mahinder would often ask the shopkeeper for credit, while purchasing a cigarette and came across the brightly colored signs with ‘Eko’ splashed all over the shop. You could send money instantly using a cellphone, and it would arrive within hours. "It was like magic”, says Mahinder, when he first used the service in 2012. It was easy to send and you could trust that the money will actually show up for your family in Bihar. Eko, a remittance provider, in a departmental store in Bhiwandi, India. When asked about which provider he trusts the most, he said, “all banks are like Eko and I don’t care as long as the money reaches my bank account”. Trust is a critical factor in financial services, and the earliest service provider often exhibits ’the Xerox effect’ where the brand itself becomes the activity. Similarly, even though the customer has a choice to pick from several competing products, the brand association is highly singular. 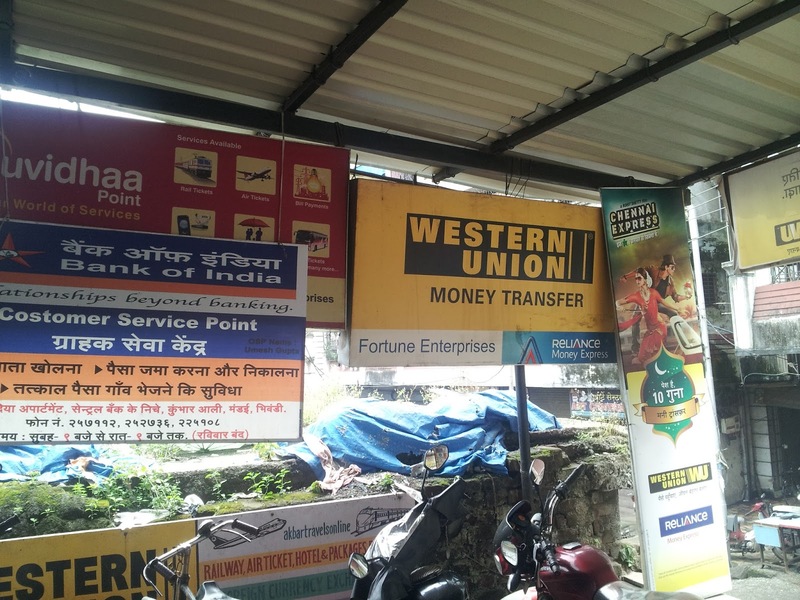 Over the last few months, the same kiosk is choke full of posters advertising dozens of remitters, with new names like Oxigen and Suvidhaa, and also big brands like Western Union. While such hyper-competition is great for customers, there are adverse affects on transparency and cost to customers. 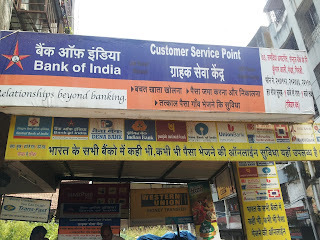 Most customers in the Bhiwandi area have limited education, and are unable to differentiate whether they are actually using the service they want to use. Additionally, as service providers compete for market share and razor-thin margins, kiosk owners have the incentive to prioritize their commissions over customer benefits. 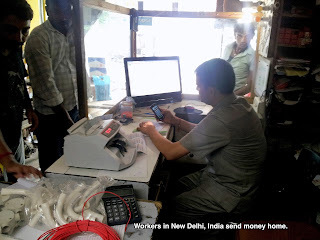 Traditionally, regulations in India have favored remittance-only providers, who are shunted off from providing a wider suite of services to their customers who may have broader financial lives. As a result, the financial lives of customers are ‘unbundled’. Additionally, a hyper-competitive market environment may lead to service providers shutting shop, which harms the customer in the long-run. Recently, the Reserve Bank of India issued regulations to license ‘payment banks’, aimed at providing a liberal framework for new-age, digital financial service providers who can provide vertical and horizontal offerings to their customers. This blog post provides a glimpse of the progress in infrastructure and interfaces for remitters in India. In less than a decade, tremendous strides have been made to provide low-cost, reliable and ubiquitous channels for the poor to access remittance services. User behaviour and expectations will evolve simultaneously. For a deeper study in user behaviour and supporting structure read Amrit Pal's final report, One Among Many? Examining the Efficacy of Mobile Money in India's Remittance Corridors.